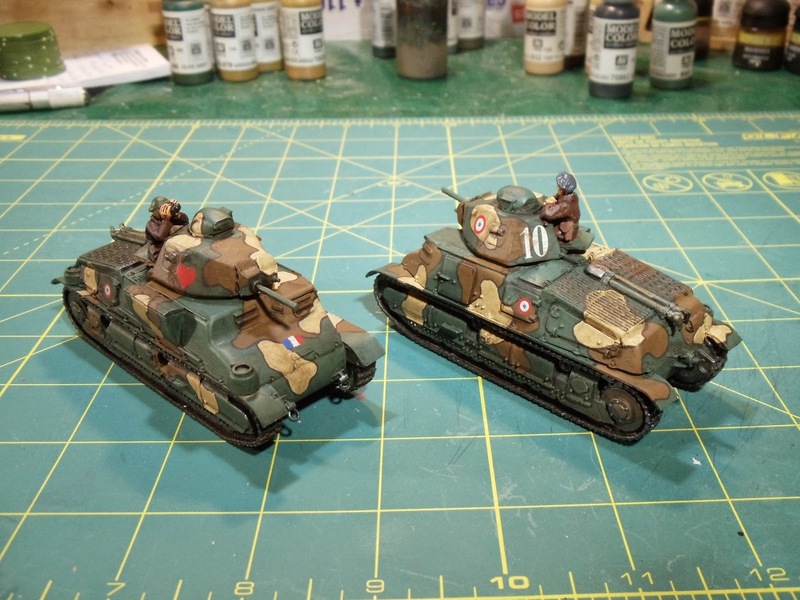 Been a slow month but today I finally finished up a trio of French tanks. These tanks are all 28mm models from Warlord Games. First up is a pair of Somua S35. 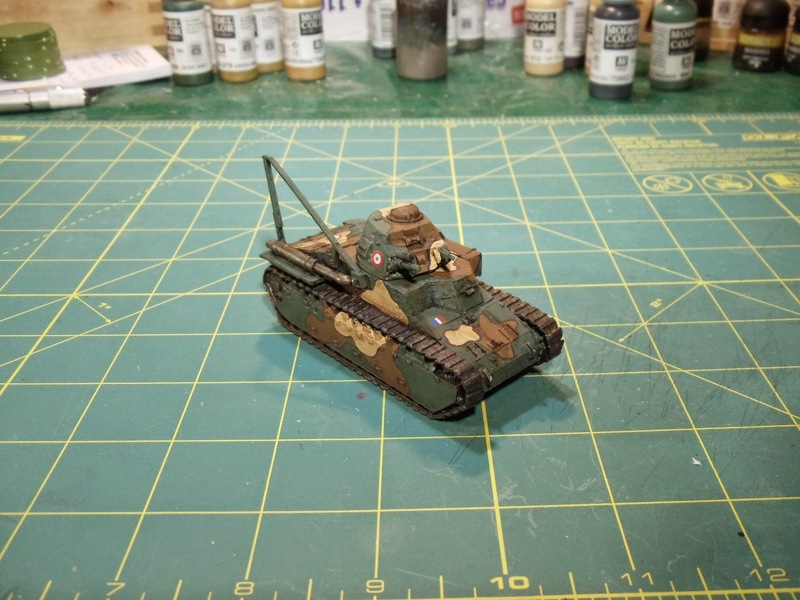 Next is a Char D1 infantry tank. 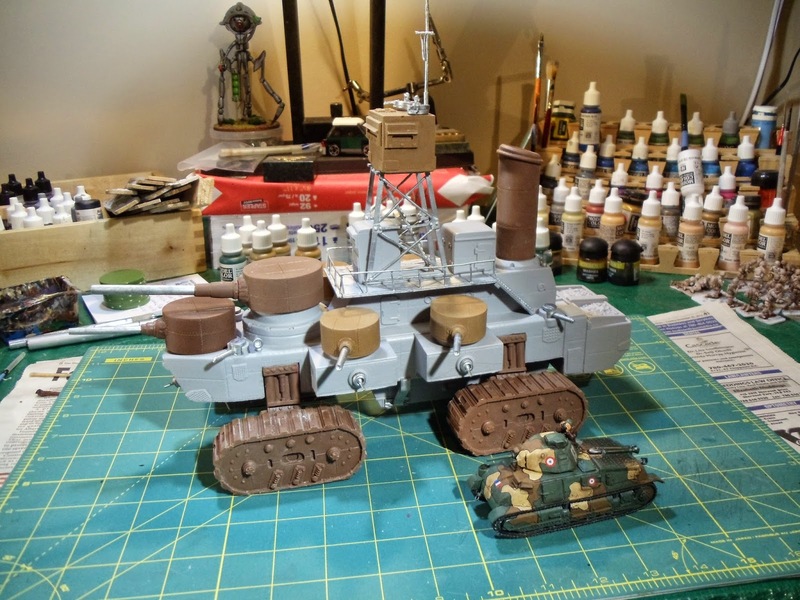 A 15mm land ironclad next to a 28mm tank. It'll probably be a couple months before I actually get it done as I'm going to do some airbrush work on it and I'm just waiting for a friend of mine to show me how to use it. Lately I have been getting a pile of board gaming in including some new ones: Urban Sprawl and Battle Line from GMT and Eminent Domain from Tasty Minstrel Games. I've already played 1/6th of what I played last year!